(11 a.m. EDT) -- Ready to unleash your inner super hero? 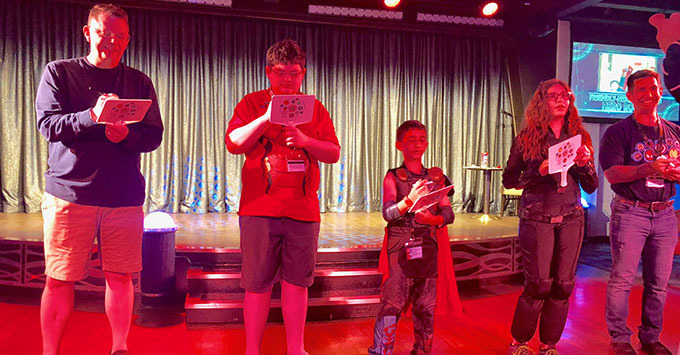 Find your power -- and get up close with your favorite Avenger -- through one of Disney Cruise Line's latest brainchild, Marvel Day at Sea. The Marvel Day at Sea schedule is jam-packed, with themed events that run from 8 a.m. to midnight. 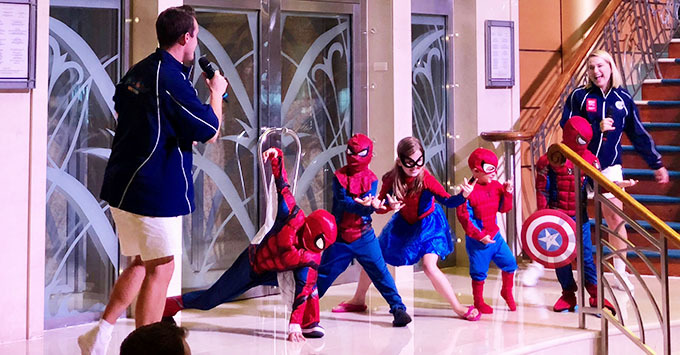 It takes over the ship, with accompanying changes in decor, action movie music in the public areas, announcements calling out superheroes like Spiderman and Thor, and -- of course -- non-stop Marvel movies in the movie theater and on the pool deck. Disney diehards already line up to take pictures and get autographs from popular characters like Mickey, Minnie and a constellation of princesses. On Marvel Day, superheroes -- and a few villains -- are the stars. 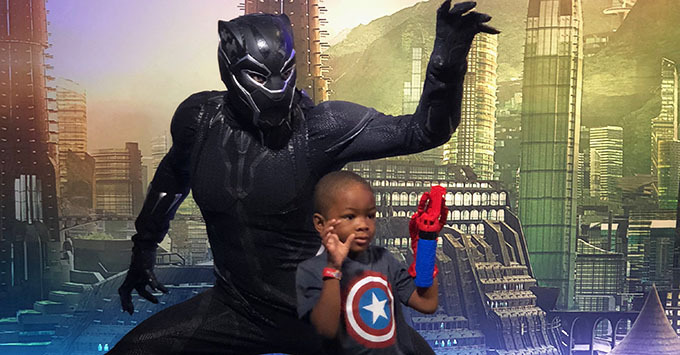 Ticketed meet and greets allow passengers to interact and take pictures with the most popular characters such as Iron Man, Spiderman and Black Panther. Other fun characters, like Thor, Loki and Black Widow, have scheduled appearances where passengers line up for greetings (and no one on the seas handles crowd control and lines better than Disney). You can sign up for some private meet and greets before your cruise, but don't worry, if you find these filled up, you'll still have plenty of photo ops. And finally, Disney has recognized that adults love Marvel as much (if not more) than the kids. Long after the young ones have gone to bed, Fathoms lounge is turned into the Ravagers Club from Guardians of the Galaxy where you can do your best Peter Quill moves with the Starlord himself (as Gamora stands by, disapproving). Note: Disney asks that full-face masks only be worn while you're taking a picture and that they are taken off when walking around the ship. This keeps the coolness factor high -- and the creep factor low. Marvel Day at Sea is different from a typical Disney Magic day, in that there are multiple shows celebrating various characters around the ship. Dr. Strange is the central figure in an afternoon/early evening show geared toward younger kids called Journey in the Mystic Arts (don't worry, parents, it's not that scary). Right at sunset, a Mickey superhero party is held on the top deck. For older fans, a 1940s-style USO show honoring Captain America features swing-era favorites like "In the Mood" and "The Boogie Woogie Bugle Boy." The piece de resistance, however, takes place at 10:15 p.m., when the wee ones have already gone to bed. We're not going to spoil the surprise, but the Heroes Unite show puts all of the characters together into one extravaganza, and is not to be missed. If you've spent hours studying the Marvel canon, you'll have plenty of opportunities to show off. A full slate of trivia contests and game shows test you on everything from the basics (what is Spiderman's real name?) to the arcane (in the comics, is Hawkeye left or right handed?). We found that those hard-to-please teens were some of the most avid players, so if you're worried that your kids are too old for Disney's princesses and animals, superheroes might be the draw. Our favorite competition was a Marvel redo of an activity that takes place on regular Disney sailings -- baby racing! It was impossible not to be won over by babies dressed in superhero onesies, crawling down an Avenger-themed racetrack to the finish line. An Instagram moment, for sure. 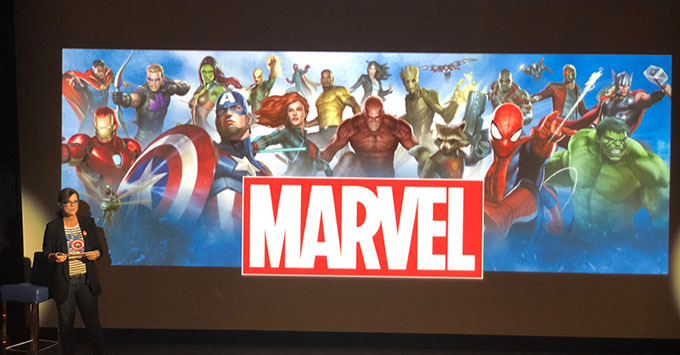 Finally, one of the more interesting activities of the day came when Marsha Griffin, vice president of animation at Marvel, overseeing series and development, gave a presentation on how current cartoons come together. Looking out into the audience, she encouraged the little superheroes in attendance to follow their dreams, just as she had. 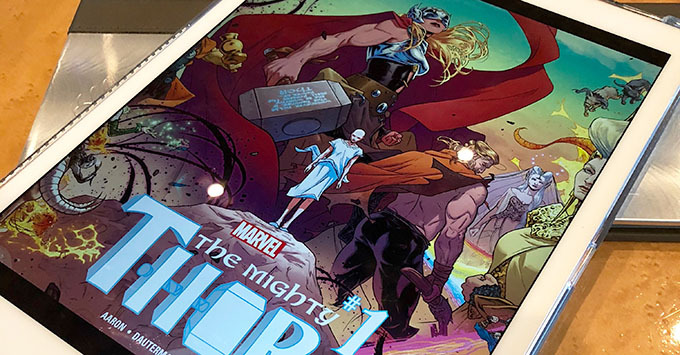 Judging by the clips she showed of new comics in the pipeline, Marvel is continuing to diversify its superheroes, allowing more children to find inspiration in characters that look more like them. That's something that can only improve future Marvel Days at Sea (which are already pretty awesome to begin with).